The OASE BioPress 4000 is a pressurised pond filter with built-in 7 watt Ultraviolet Clarifier. The filter can be buried beside the pond and features an easy-clean handle which compresses the filter sponges, allowing the pond waste to be cleared out without the need to touch the filter foams themselves. As the filter housing is a sealed unit, water can be pumped up higher than the filter itself, providing an ideal solution for supplying the pond water directly to a small stream or cascade. 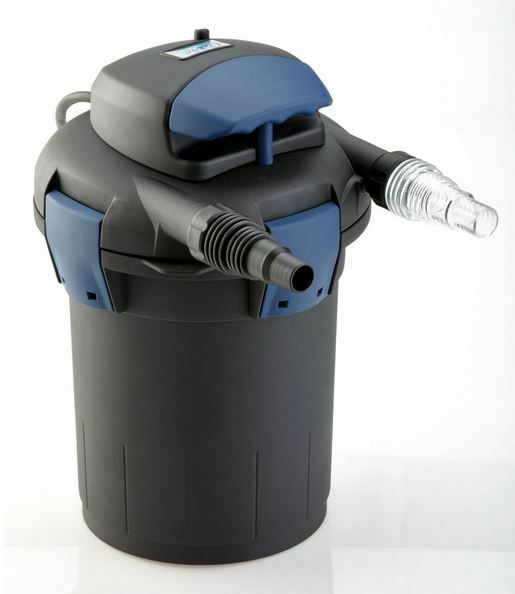 The BioPress filters are a cost effective solution to the OASE FiltoClear Pressurised Filter Systems and are also an alternative to the Filtral All-in-One Underwater Filters, for those who own a small pond but prefer a pondside filter solution. 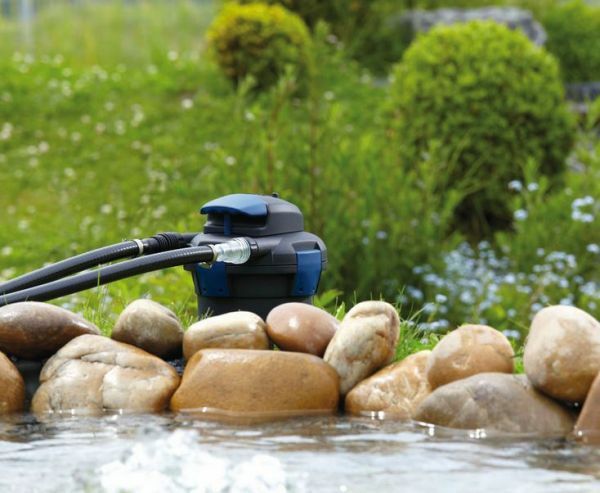 Suitable for ponds up to 4000 Litres, Fish Ponds up to 2000 Litres or Koi up to 1000 Litres. 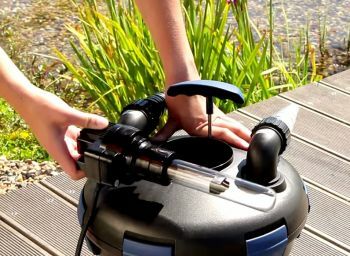 7 watt Ultraviolet Clarifier for tackling single celled algae (green water). Inspection window to check UV Clarifier operation. Quick Release Lid for easy opening during maintenance. 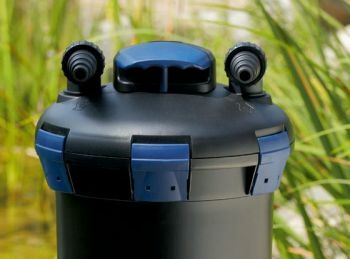 Easy Clean handle integrated into the filter Lid. Compact filter body can be buried up to its head in soft ground to disguise. 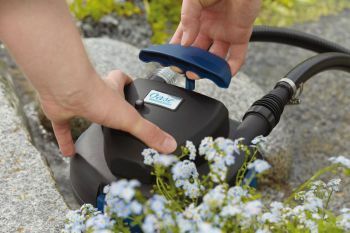 Water Garden recommend using 1" Internal Diameter Flexible Hose between the chosen pump, filter and return back to the pond.